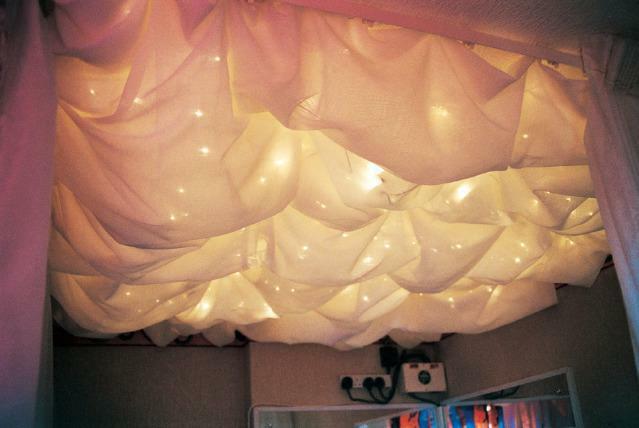 Convert your boring old ceiling. This flame retardant voile fabric hung in swathes creates a lovely billowing effect. Supplied in 48" wide roll. Add 25% in each direction to the dimensions of your room to allow for the billows. Lights are not included. Phone TFH for a quote.